This is one of my favorite events so I hope to see you there! Still time to order a custom portrait and I will have gift certificates available. Here is all the great stuff! RAFFLE PRIZES AND THE PARADE OF ADOPTABLE DOGS! Join Barking Dog Creations Studio and lots of other great vendors at the annual Bishop Animal Shelter Canine Christmas! Canine Christmas is a pet and family friendly event held on the 3rd Saturday of every November. Our 2018 festival will be our 20th annual! In celebration of 20 years, we're making this year's festival a 2 day event! Dozens of local vendors come to Bishop including animal rescues, food trucks, dog groomers and trainers, as well as vendors selling pet and holiday related merchandise so you can get your Christmas shopping done early! This free festival features adoptions from Bishop and other rescues in the area. There is a Doggy Fashion Show hosted by the Doggy Diva where pups and their owners can take home trophies in different categories. Food trucks arrive serving shaved ice, hot dogs, pizza, and more. Every year we also see the Doggie Fun Zone, an obstacle course where your dog’s agility and speed can be put to the test. You can also get your pet’s photo with Santa for your Christmas card and enjoy our live music performers. Mark your calendars so you can bring your families and children (furry or otherwise) to the biggest four-legged event in town! For the third year in a row I am a supporting artist of the Southeastern Guide Dogs Superheroes on Parade Campaign. I am thrilled to continue my relationship with this fantastic organization. Stay tuned for this year's sculpture! Join me at Sarasota's newest hotel experience! I will be the "artist in residence" at Art Ovation from June 6th thru the 9th, 4 - 8PM each day. Please stop by and say hello. The studio is located right off the lobby entrance. Wild things are coming to The Studio. This amazing benefit exhibition for Wildlife, Inc. presents Florida’s indigenous creatures in paintings and sculptures as you have never seen them before. The show features the work of fourteen highly regarded area artists including Susan Curry, Joanne Brown, Charlotte Mansur, Evelyn Peters. Craig Rubadoux, Jean Blackburn, Linda Hunsaker, Joyce Eli Walker, Nancee Clark, Tim Jaeger, Ines Norman, Tom Hawkaas, Penelope Bowdry Sanders and Nancy Matthews. A portion of the sale of art works featured in the exhibit will be donated to Wildlife, Inc. Education & Rehabilitation Center, the largest wildlife rehabilitation and rescue center in Manatee County. Founded in 1987 and located on Anna Maria Island, this marvelous non-profit organization has treated well over 4,000 birds, mammals and reptiles annually from throughout the region, and the numbers continue to grow. Wildlife, Inc. is run by a volunteer staff of dedicated animal lovers, receives no public funding and relies on the support of donations and private grants to meet it’s $100,000 annual budget. For more information and to make a direct donation to Wildlife Inc. visit wildlifeinc.org. Please join me at the Art League of Daytona Beach for our annual exhibit. We are very excited to be showing in a new venue and would love to have you join us for our opening reception on Sunday, February 11th, 1 - 4PM. Sarasota's biggest holiday pet celebration is back again at a brand new location...Phillippi Estate Park! Bring your family, friends and leashed pups for an afternoon of holiday festivities as we raise money for our local animal groups! The afternoon will include animal adoptions, a holiday costume contest hosted by Susan Marie and Miss Olive of "The Doggy Diva Show," photos with Santa Claus, live holiday music, vendors selling holiday gifts for people and pets, refreshments, raffle prizes, animal readings, pet blessings, a 50/50 drawing and much more! All proceeds will benefit our local animal groups in attendance. Admission is free, but all attendees are asked to bring unopened canned or bagged dog or cat food, toys or treats that will be donated to the rescue groups at the event. Join Barking Dog Creations Studio along with several other pet photographers and artists at Woof Gang Bakery at Lakewood Ranch on Small Business Saturday. Join me again this year for the annual Canine Christmas benefitting Bishop Animal Shelter SPCA Manatee County. It's a free event with lots of great stuff happening and there will be adoptions available. Bring home your new best friend! New works by Evelyn McCorristin Peters. A search for how home is defined in time. 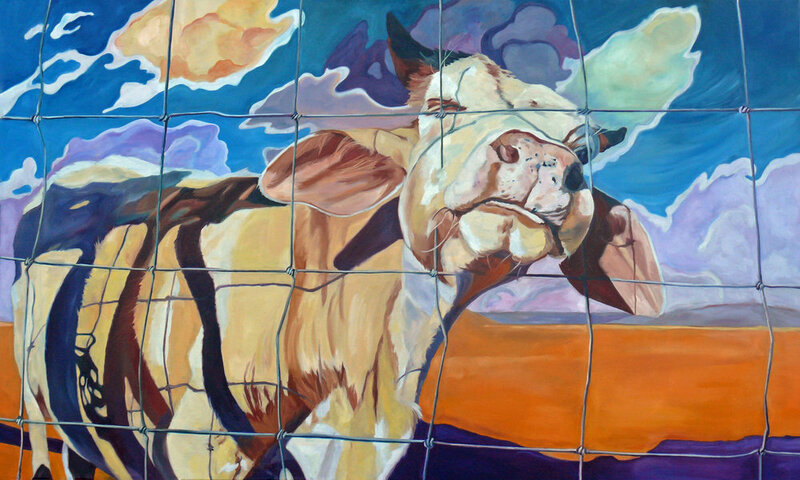 Art Uptown Gallery’s November exhibit features Evelyn McCorristin Peters’ new paintings. Peters demonstrates her skill in capturing the essence of widely different realms in her upcoming show, Defining Home. The gallery will host an opening reception from 6 to 9 p.m. on First Friday, November 3, at 1367 Main St. The show runs from October 28 through November 24. Last year, Peters celebrated lovable old dogs and luscious desserts in her solo exhibit. This year, her paintings express her feelings about “home.” The artist’s current Myakka home provides plenty of inspiration. She shares her 12 acre Barking Dog Ranch with her husband, two dogs, visiting horses, sharks and local wildlife. “My life is a menagerie of the people, places and happenings of a distinctive south Florida experience,” she laughs. Join myself and the Petticoat Painters to celebrate our new works. Opening Reception Thursday, November 9th, 5 - 6:30PM. Join me at the finale of the Superheroes on Parade Celebration! It's a fun evening and the People's Choice Awards will be announced! I'm standing with Southeastern Guide Dogs, and I've painted Wallace Malloy Jones , a Superheroes Puppy on Parade sculpture. This exciting art event supports the real superheroes: guide dogs for people with vision loss and service dogs for veterans with disabilities. We need your help to raise funds for this worthwhile organization, and here’s how you can help: vote for Wallace Malloy Jones! At just $1 per vote, you can vote early and often—every dollar supports the Southeastern Guide Dogs mission. Click here and vote for Wallace Malloy Jones – and help us win the race to becoming TOP DOG! Thanks for your help, and please share! If you would like to see Wallace in person, here's his Superhero location! 801 South Palm Avenue Sarasota. Please join me at the grand opening of a beautiful new gallery on Main Street in Lakewood Ranch. My work along with a wonderful group of talented artists will be displayed that night and the artists will be there to meet and greet. We look forward to making new friends and sharing our art. 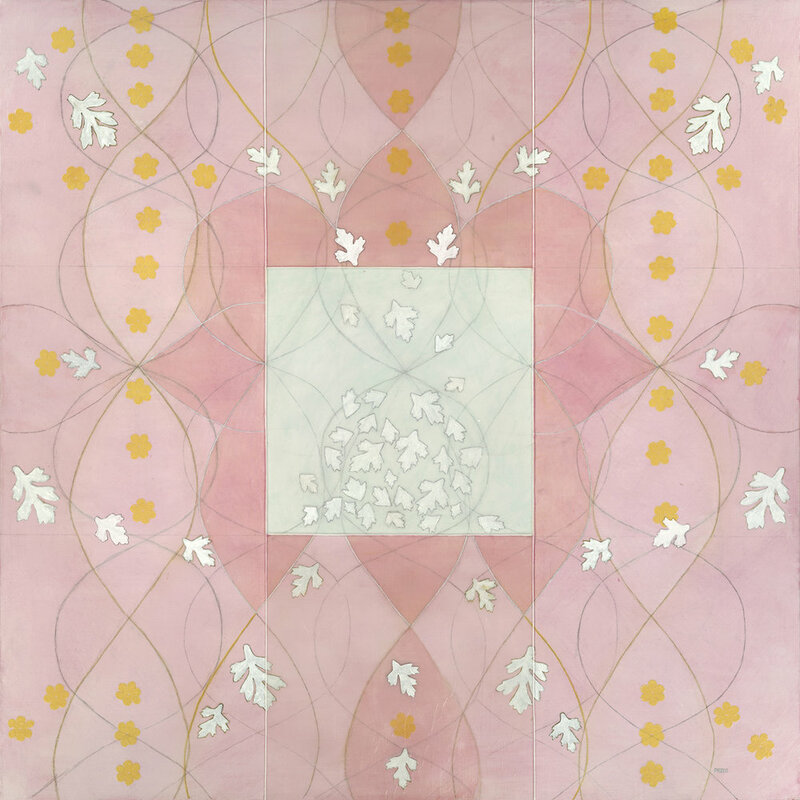 Art Uptown is proud to announce an exhibit of the painting of Evelyn McCorristin Peters entitled Clouds' Illusions. The exhibit of paintings, which include oil on canvas and oil on paper, present an observation in time. This dramatic exhibit will be held at the Bird Key Yacht Club, September 6th – October 2nd. There will be a champagne reception on September 7th at 6:00 pm where guests can stop by, sip champagne, and enjoy the art. Stop by the Barking Dog Creations Studio Booth! Adopt-A-Palooza is a FREE pet adoption and expo-style event with ten local rescue and animal welfare organizations joining forces with Manatee County Animal Services for the largest adoption event in Manatee County. Admission and parking are FREE and there will be over 100 adoptable puppies, dogs, cats and kittens to choose from. All pets will be spayed or neutered, vaccinated and micro-chipped. Manatee County pet license tags will be for sale and specialty retailers will offer products and services. Feld Entertainment's Monster Mutt Truck will be onsite for photo opportunities. Join me at the opening reception to get another look at "The Last Dessert." Three of my dog portraits are included in this annual show. Come out to the opening and say hi. Starry Leonard, Circus Dog, and Baron the Boxer will be on display. Our annual favorite! Fur, Feathers, Flora & Fauna is an open, all media, juried exhibit. The all media work will be displayed in all three galleries. I am honored to paint a new Superhero for Southeastern Guide Dogs fund raising campaign. And this year it's puppies! My sponsor Susan Jones asked if it could look like one of her pups named Wallace. Wallace's home will most likely be Selby Gardens so I celebrated the gardens in day and night. Wallace will be unveiled Monday April 24th at the Best of Sarasota celebration at Selby Botanical Gardens. Baron the Boxer, oil on gallery wrapped canvas, 24X36"
Join me at the Spring Fling Adopt a Pet at the Florida State Fairgrounds! I will have my booth set up with examples of my custom pet portraits along with prints and goodies available for purchase! Jingle Paws Jubilee will be a fun-filled day for all! In addition to dogs, puppies, cats and kittens available for adoption from our community rescue groups, there also will be holiday gift shopping with many pet vendors from Sarasota, Bradenton and beyond; DJ music throughout the event; food vendors; agility demonstrations; animal communicators; face painting; a caricaturist; raffle prizes; holiday pet photographs; and so much more! One of the highlights of the event always is the Holiday Costume Parade & Contest hosted by Susan Marie of the “Doggy Diva Show.” Five Points Park is the perfect venue for a parade, with a circular path in the beautiful park that is right in the heart of downtown Sarasota! Bring your dog (or cat!) dressed in his or her holiday best, and be a part of this fun & exciting event! Join Barking Dog Creations Studio at Jingle Paws Jubilee and visit my booth! Join me at this year's Canine Christmas Festival benefitting the Bishop Animal Shelter SPCA of Bradenton. Canine Christmas Festival is an annual event that invites animal lovers, pet owners and their four-legged friends to enjoy a day of adoptions, shopping, contests, a doggy fashion show and much more! I will have my booth set up with lots of doggie portraits and goods...hope to see you there! Mimosas and Meet the Artists! See you there along with all 52 of the Superhero Dogs! This is your last chance to see them! Whimsy meets mission when all 50+ larger-than-life-size sculptures will create a stunning display in a heartwarming exhibition on Palm Avenue. Come downtown and stroll among our inspiring Superheroes on Parade sculptures. Don’t miss this paws-itively powerful pageant! Every parade deserves a tail-wagging party, and you’re invited to our Superheroes on Parade Awards Celebration presented by Gulf Coast Community Foundation. Join us as we celebrate the Best in Show Awards! With limited tickets at $150, be sure to reserve your spot for the superhero celebration! AMERICA'S PARKS Through the Beauty of Art is an exhibition competition open to all artists, the purpose of which is to recognize and promote excellence in original artworks depicting any park (national, state, provincial, county, city, or private) in North America, Canada, Mexico and The United States. The museum will celebrate the 100 Anniversary of the National Park Service by displaying America's Parks, and it will do so in collaboration with Castillo de San Marcos National Monument, the first of only three walled cities ever constructed in North America. The other two are (English) Charleston, South Carolina and (French) Quebec City, Canada.